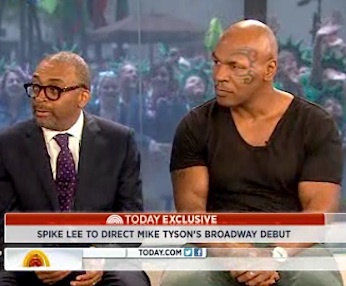 Mike Tyson and Spike Lee visited the Today Show to promote his one-man Broadway show, Undisputed Truth. “I just threw up the white flag. It was too many prison cells, too many jails, too many lawsuits, too many bankruptcies, too many women, too many venereal diseases, too many everything. I got really tired of, you know, like every time a prostitute – I would head back from a trip – I had to sleep with her.